Adobe and Corel are two of the recognized giants in the graphics software industry, and anyone who is a fan of one of these guys isn't likely to make a shift to the other. Nevertheless, the various improvements and developments that both software giants have gone through make a comparison inevitable, and here we take a look at some of their more salient features. With the recent release of Adobe’s CS5 suite, the company seems to be poised to maintain its legendary hold on the graphics design industry. The company’s products are clearly aimed at the corporate graphics market, and they are apparently focused toward providing a set of graphics solutions for work that will eventually end up on the Web. The company currently markets four editions of its graphics suite, each of which is intended for specific industries: Design Premium, for print, interactive, and mobile work; Web Premium, for website design; Production Premium, for video production; and the Master Collection, which contains all the tools in each of the previously mentioned editions. The new Corel X5 suite has more than enough features and functionality to cater to the pro market, although it is suitable for amateurs and smaller studios as well. This is apparent in the inclusion of various learning aids such as tutorials, tips, and templates. Corel has also boosted its support for the new processors on the market, as well as additional file formats and enhanced color control. While Corel has almost always struggled to maintain foothold against the overpowering onslaught of Adobe, the company does have a loyal following stemming from the days when CorelDraw was king of the vector-graphics world. Adobe’s own Illustrator program did manage to capture a huge portion of the vector graphics market with its availability on the Windows platform, but CorelDraw has its diehard adherents to this day, particularly in the clothing design industry. Of course, things are different in the raster graphics category, and Adobe's Photoshop has a hold on the market that Corel’s Photo-Paint simply cannot dislodge. It doesn't help matters any either that Corel offers another photo editing program besides Photo-Paint–Paint Shop Pro Photo–and this has no doubt caused a fair amount of confusion for people who would have otherwise been drawn to Corel’s raster offerings. 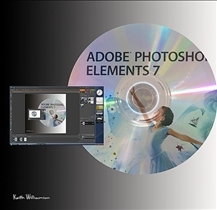 Both Adobe and Corel have released slightly cut down versions of their flagship products, with Corel having released the aforementioned PaintShop Photo Professional, Adobe’s having released Photoshop Elements. While both products are clearly aimed at capturing some of the amateur photo editing market, neither company has released "lite" versions of their vector programs. CorelDraw has numerous adherents in the clothing design industry. Which software product is easier to use? I am a veteran free lance photographer. I have used Corel paint pro since version 1. Adobe(full program) is out of my budget and more than I need. I have a love for restoring old family photographs, damaged or just needing some adjustments. Will Elements 13 be an investment, or just a toy?